While a criminal conviction is not the outcome you had hoped for, it’s also not the end of the road. The vast majority of people convicted of a crime will one day be free, usually after completing a period of parole or probation. Parole is an early release from prison. Most (but not all) inmates will be eligible for parole, but not everyone will be granted parole. That decision will be made by board members and commissioners from the Texas Board of Pardons and Paroles. 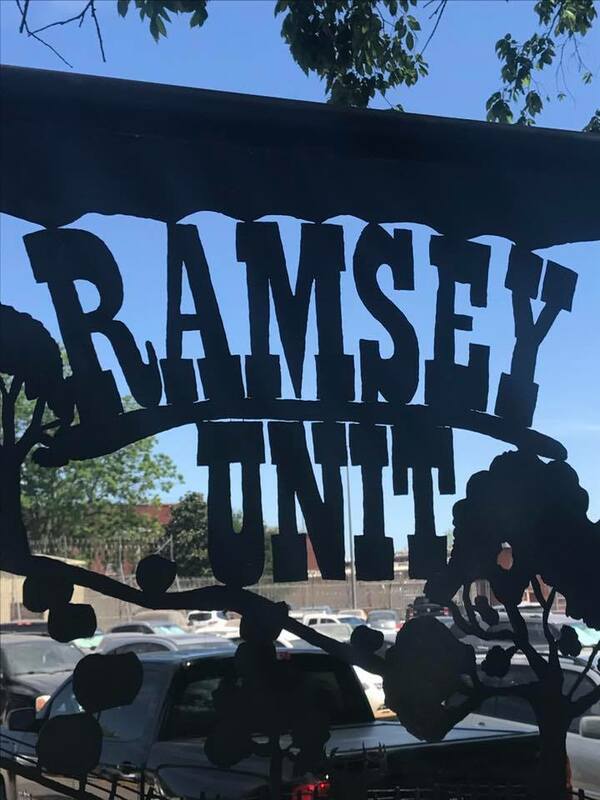 Ramsey Unit is located at: 1100 FM 655, Rosharon, TX 77583. While a criminal conviction is not the outcome you had hoped for, it’s also not the end of the road. The vast majority of people convicted of a crime will one day be free, usually after completing a period of parole or probation. If your loved one could be up for parole soon, legal help at this stage of the parole process can make a big difference. It can encourage a more thorough review of the paper file, can unearth extenuating circumstances, and can highlight good behavior and positive plans for the future. In almost every case, there is another side of the story that needs to be heard by the Parole Board members. 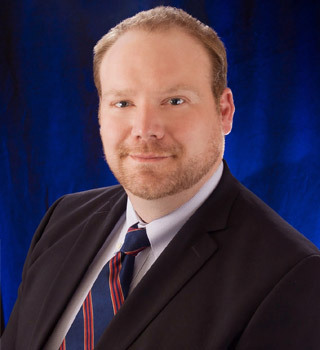 Texas probation and parole attorney Trent Marshall ensures that story is told. More than half of his legal practice involves helping families and incarcerated people secure parole or resolve problems with probation. Contact Trent Marshall to learn more, 817-435-4795. Trent helps inmates through out the entire state of Texas. Traductor de habla española disponibles. As a former Commissioner for Texas Board of Pardons and Paroles, Mr. Marshall has seen how parole boards operate. With more than 75,000 parole cases reviewed every year, board members and commissioners can be extremely busy. Mr. Marshall ensures that each client’s file gets the thorough review that the case deserves. A parole hearing isn’t like a criminal case. A lawyer isn’t going to be arguing before a judge and jury, but there are ways that a criminal defense lawyer can intervene to make sure the Parole Board members hear all the facts. Parole and probation are usually granted with a lot of rules. It’s not hard to break the rules and find yourself back in court for a probation revocation hearing and then back to jail or prison. Mr. Marshall defends clients in parole revocation hearings and in probation revocation hearings. If you believe your loved one may have a hard time fulfilling the terms of parole or probation – perhaps because of a drug or alcohol addiction – it may be wise to have a criminal defense attorney on retainer. Mr. Marshall guides clients and client families through the criminal justice system, helping them understand what will be happening and how they can have input into the process. He can also intervene should problems occur while a person is still under supervision. See our Resource page for useful links to family support resources, and information on Texas correctional facilities. Trent Marshall founded the firm January 2013, after serving as Commissioner of the Texas Board of Pardons and Paroles. 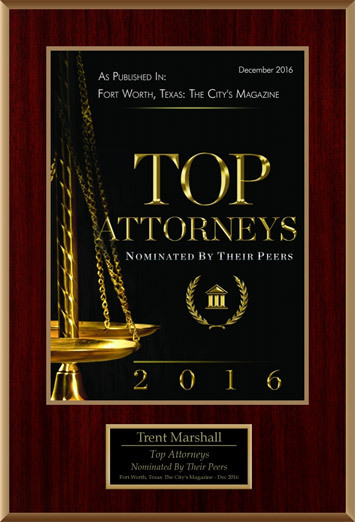 Trent has been named a “Tarrant County Top Attorney” by Fort Worth magazine for 2014-2018.